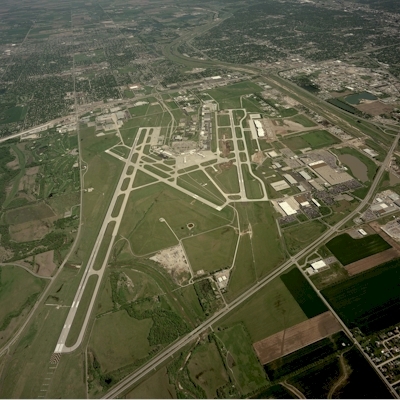 Yingling Aviation is your Premier FBO/MRO in the Central U.S. Open 24/7. Our professional staff provides superior quick turn service and attractive modern facilities offer a comfortable place to rest while you wait. Within walking distance to Flight Safety's Cessna Learning Center, and Double Tree by Hilton Airport Hotel. Visit our World famous Aviator's Attic Pilot Supply and Gift Shop. Manager's Name: MR. VICTOR WHITE, A.A.E. ATCT HAS LIMITED VISIBILITY OF TERMINAL GATES 1-8. 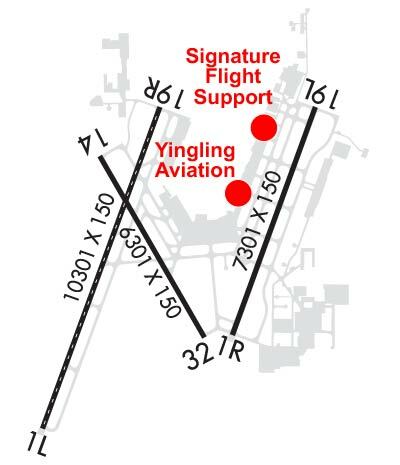 TWY H CLSD TO ACFT WITH WINGSPAN MORE THAN 75 FT. TWY H CONGESTED AND NOT VISIBLE FROM ATCT; USE CAUTION. TWY L AND L1 CLSD TO ACFT WITH WINGSPAN MORE THAN 118FT. TWY P CLSD TO ACFT WITH WINGSPAN MORE THAN 79FT. NOTE: SEE SPECIAL NOTICES-CONTINUOUS POWER FACILITIES. ACFT ENG RUNS ABV IDLE NOT APPROVED ON ACFT PRKG RAMPS. CALL FOR PUSHBACK NOT REQUIRED. PPR REQUIRED FOR ACFT CARRYING CLASS 1 - DIVISION 1.1; 1.2 OR 1.3 EXPLOSIVES AS DEFINED BY 49 CFR 173.50 OR AS AMENDED. TWYS F, G, H, J, P AND ALL PARKING RAMPS ARE NON-MOVEMENT AREAS. MIGRATORY BIRDS ON AND INVOF ARPT.